Harriet Beecher Stowe Elementary School is seen in this 2014 file photo from The Forecaster. 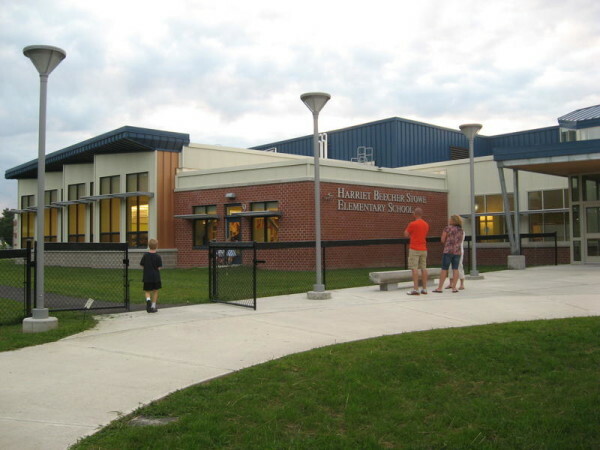 BRUNSWICK, Maine — A student at Harriet Beecher Stowe Elementary School has been diagnosed with pertussis, or whooping cough, a contagious illness that can often be prevented by vaccination. Superintendent Paul Perzanoski confirmed the case Friday afternoon, and parents were alerted to the case in a memo from the school. The Maine Center for Disease Control and Prevention posted Friday on the school department’s website. According to the memo, additional cases have not been reported to the Maine CDC, although a Brunswick High School student was diagnosed with pertussis in March. As of Monday, 172 cases of pertussis had been diagnosed in Maine in 2015, according to epidemiologist Sara Robinson of the Maine CDC. The five-year median for the end of June is 188 cases. In 2014, a total of 554 cases were reported to the CDC, up from 332 in 2013, but down from 737 in 2012, according to data posted on the DHHS website. Pertussis is spread from person to person through coughing. It usually begins with symptoms of a common cold (sore throat, runny nose, low-grade fever) and often develops into a bad cough after a few weeks, according to the memo. The cough can last several weeks or more. Most children are vaccinated against pertussis and receive five shots before they start attending school, Dr. Sheila Pinette, then the chief health officer of the Maine Department of Health and Human Services, said in March. But it’s possible for vaccinated children to be infected, and babies are at most serious risk of the illness. School-age children are one of the hardest-hit populations, Pinette said, in part because immunity from childhood vaccinations begins to wane. Anyone diagnosed with pertussis must stay home from school, work or other activities until they have finished five days of medicine. For more information about pertussis, call the Maine CDC at 800-821-5821.